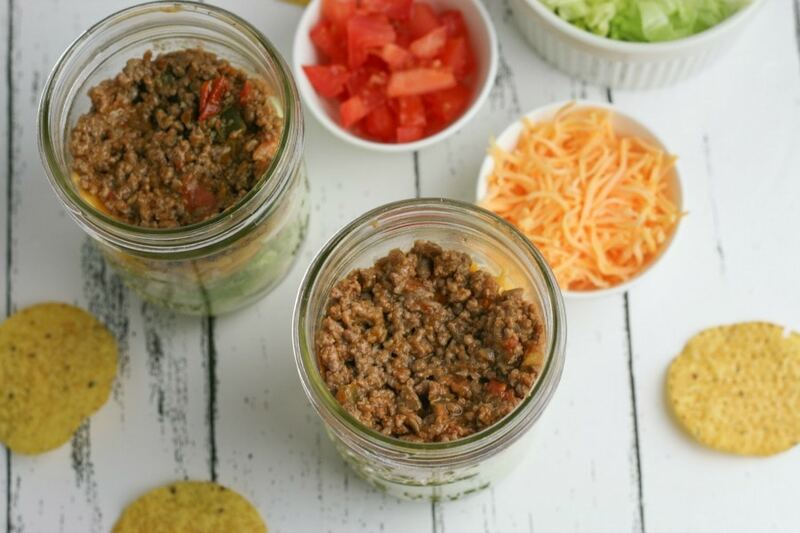 If you are working on eating healthier and looking for more variety for lunches, taco salad is one of my favorite salads to eat for lunch as it’s very filling and flavorful with the ground beef & refried beans, as well as any additional flavors you might want to add with salsas, guacamole, and more. But, it’s also a very light & healthy, low calorie option and perfect for those of you who are looking for a gluten-free lunch or dinner option as well. 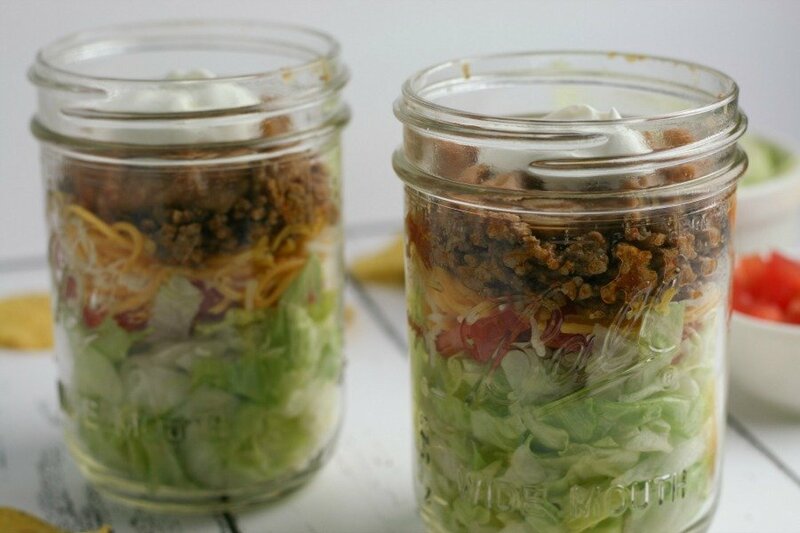 I love that you can prep this ahead of time in the mason jars and have them ready for the work week or even for your kids to take to school as a healthier lunch option. 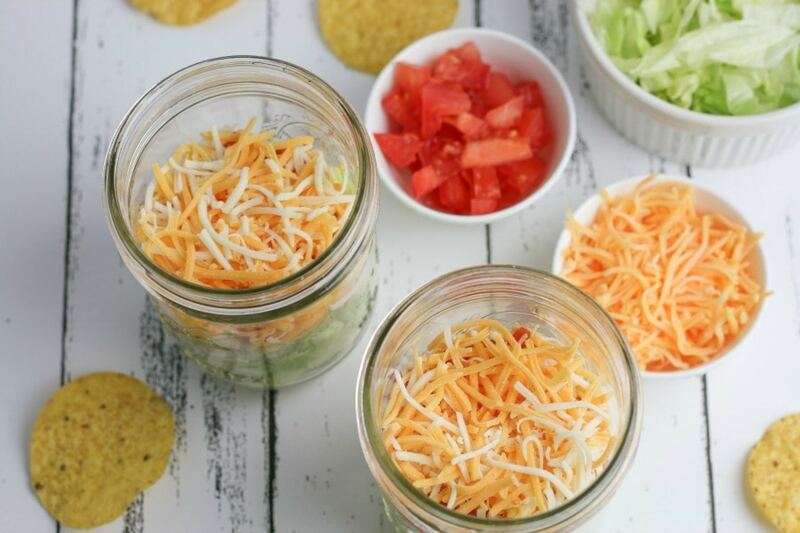 They are a fast grab & go lunch option and then add your favorite toppings in smaller containers or add it to the top of your jar on the day you’ll eat it (such as the sour cream, salsa, guacamole, etc). 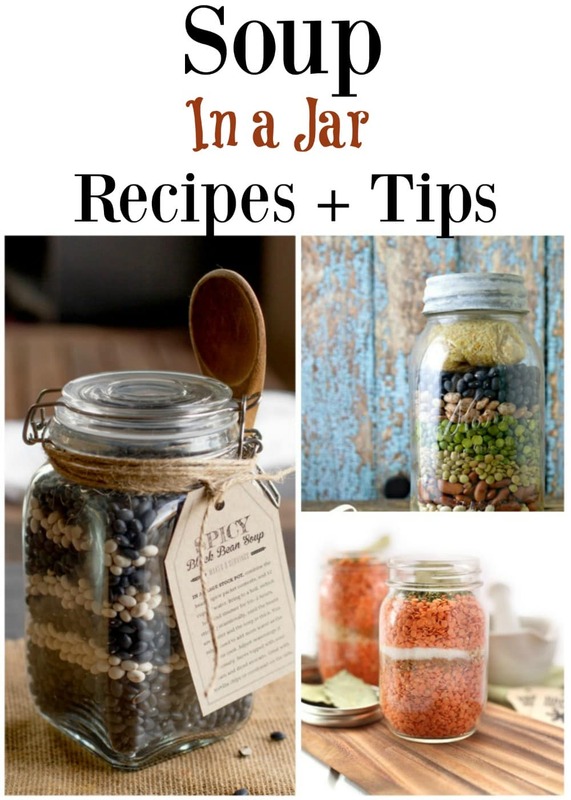 Eat it right out of the jar or I prefer to grab the jar & then dump out the ingredients on a plate. 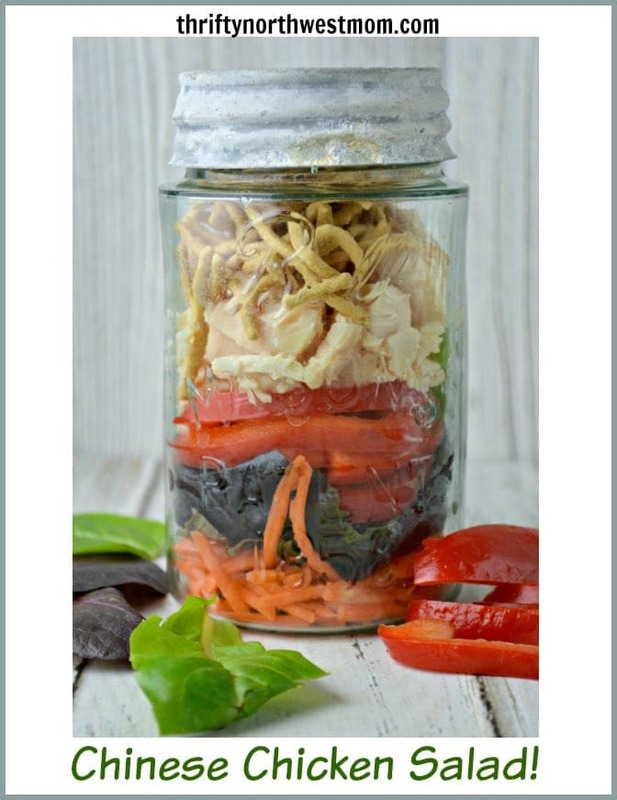 If you prefer to keep the items separated, just prep all the ingredients in separate containers & then layer them in the jar in the morning before work or school & you’ll have a fast lunch prep. 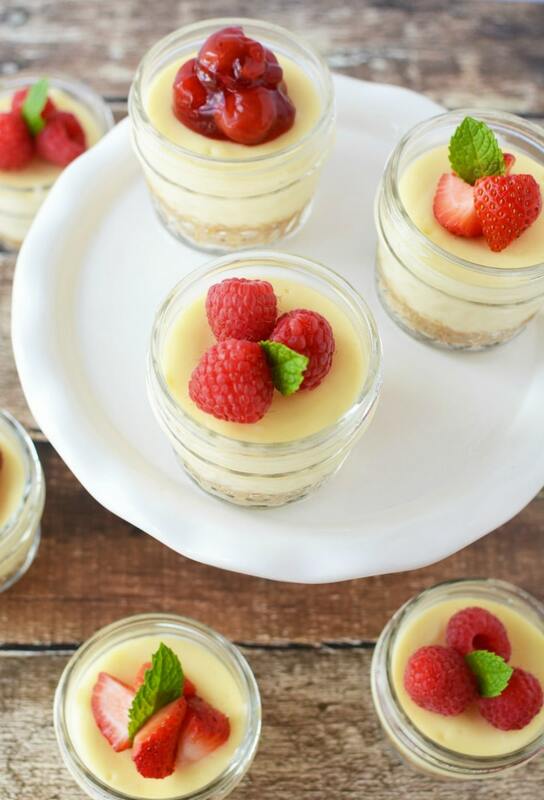 Working from home, I love having everything all ready to go in the jars, so I can just grab & go as a quick lunch or when we’re heading out for an evening of activities, we can grab these & eat them on the go! 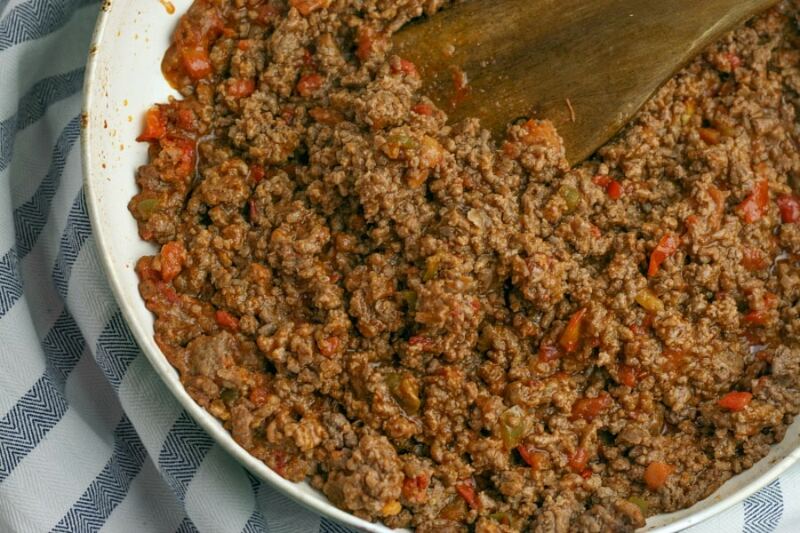 Combine ground beef and one can tomatoes with diced chilies in a skillet. Cook until browned, then add one package taco seasoning. Cook according to package directions. Set aside to allow to cool. Heat refried beans according to package instructions. Set aside to cool. 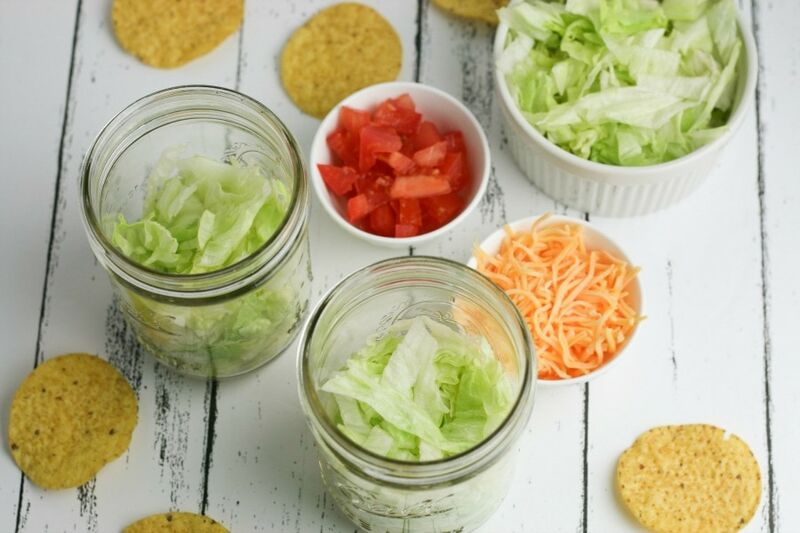 Fill each jar with one cup shredded lettuce. Top tomatoes with 2 tablespoons shredded cheese. Top cheese with ¼ cup ground beef mixture. 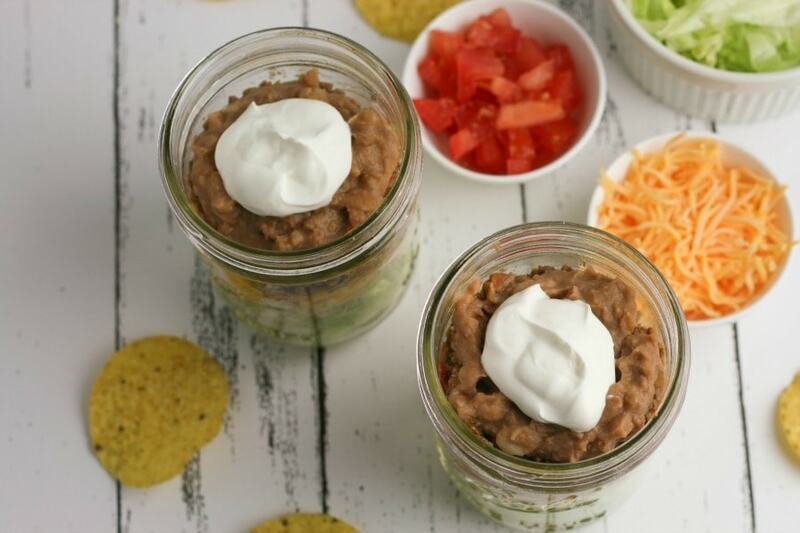 Top ground beef with ¼ cup refried beans. Spoon one tablespoon sour cream on top of each jar. Garnish with 5 crushed tortilla chips (optional). 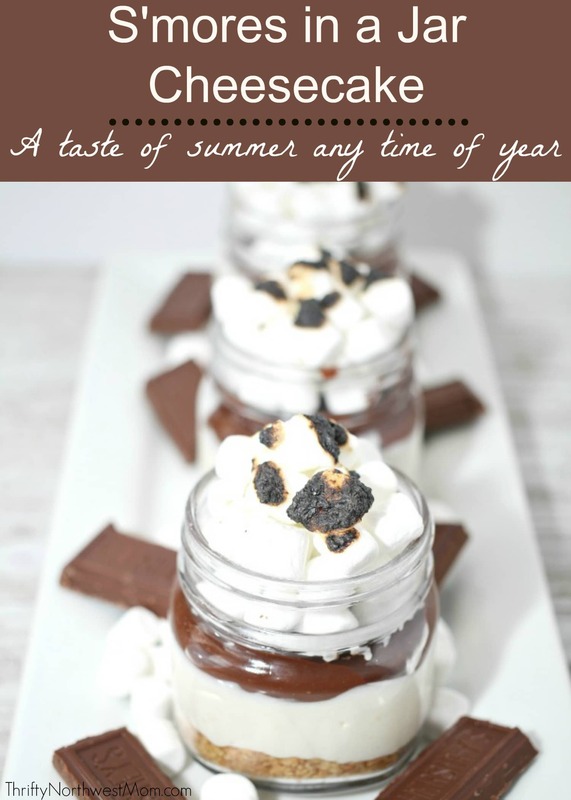 *Each jar has 4 Weight Watchers Freestyle points with chips or 2 Weight Watchers Freestyle points without chips. 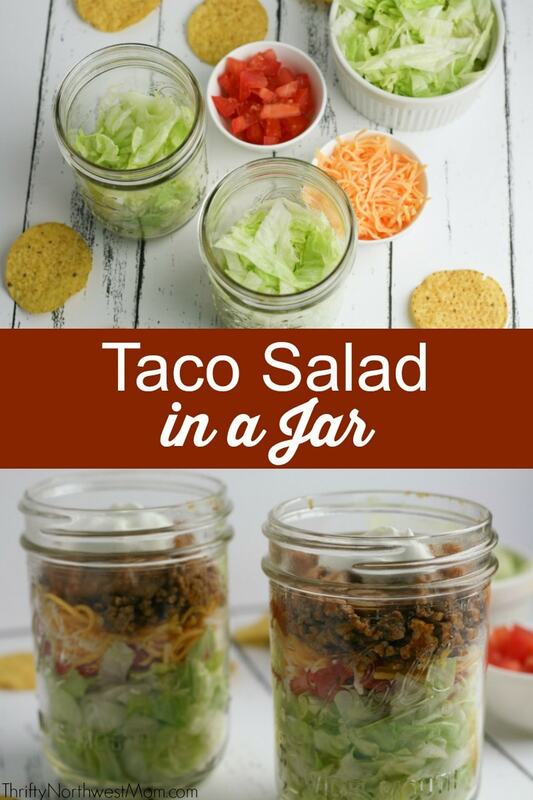 Here’s a printable version of the Taco Salad in a Jar recipe for you to print off to put in your recipe binder or notebook.